The Washington-based Council on American-Islamic Relations presents itself as just another civil-rights group. "We are similar to a Muslim NAACP," says spokesman Ibrahim Hooper. Its public language - about promoting "interest and understanding among the general public with regards to Islam and Muslims in North America" - certainly boosts an image of moderation. That reputation has permitted CAIR to prosper since its founding in 1994, garnering sizeable donations, invitations to the White House, respectful media citations and a serious hearing by corporations. In reality, CAIR is something quite different. For starters, it's on the wrong side in the war on terrorism. One indication came in October 1998, when the group demanded the removal of a Los Angeles billboard describing Osama bin Laden as "the sworn enemy," finding this depiction "offensive to Muslims." 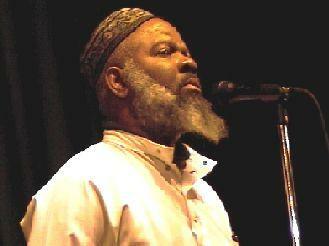 Siraj Wahhaj, unindicted and on CAIR's advisory board. CAIR consistently defends other militant Islamic terrorists too. The conviction of the perpetrators of the 1993 World Trade Center bombing it deemed "a travesty of justice." The conviction of Omar Abdel Rahman, the blind sheikh who planned to blow up New York City landmarks, it called a "hate crime." The extradition order for suspected Hamas terrorist Mousa Abu Marook it labeled "anti-Islamic" and "anti-American." Not surprisingly, CAIR also backs those who finance terrorism. When President Bush closed the Holy Land Foundation in December for collecting money he said was "used to support the Hamas terror organization," CAIR decried his action as "unjust" and "disturbing." CAIR even includes at least one person associated with terrorism in its own ranks. On Feb. 2, 1995, U.S. Attorney Mary Jo White named Siraj Wahhaj as one of the "unindicted persons who may be alleged as co-conspirators" in the attempt to blow up New York City monuments. Yet CAIR deems him "one of the most respected Muslim leaders in America" and includes him on its advisory board. For these and other reasons, the FBI's former chief of counterterrorism, Steven Pomerantz, concludes that "CAIR, its leaders and its activities effectively give aid to international terrorist groups." Intimidating moderate Muslims. In at least two cases (Hisham Kabbani and Khalid Durán), CAIR has defamed moderate Muslims who reject its extremist agenda, leading to death threats against them. Embracing murderers. CAIR responded to the arrest and conviction of Jamil Al-Amin (the former H. Rap Brown) by praising him, raising funds for him and then denying his guilt after his conviction for the murder of an Atlanta policeman. Likewise with Ahmad Adnan Chaudhry of San Bernardino, Calif.: Disregarding his conviction for attempting murder, CAIR declared him "innocent" and set up a defense fund for him. Promoting anti-Semitism. 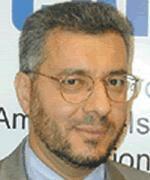 The head of CAIR's Los Angeles office, Hussam Ayloush, routinely uses the term "zionazi" when referring to Israelis. CAIR co-hosted an event in May 1998 at which an Egyptian militant Islamic leader, Wagdi Ghunaym, called Jews the "descendants of the apes." Omar Ahmad, founding chairman of CAIR. Aggressive ambitions. As reported by the San Ramon Valley Herald, CAIR Chairman Omar M. Ahmad told a crowd of California Muslims on July 2, 1998, "Islam isn't in America to be equal to any other faith, but to become dominant. The Koran . . . should be the highest authority in America, and Islam the only accepted religion on earth." CAIR's real record is one of extremism. North American Muslims themselves are beginning to discover - and the government, leading media, churches, and businesses should follow - that CAIR represents not the noble civilization of Islam but an aggressive and radical strain similar to that which led to the suicide hijackings last September. CAIR must be shunned as a fringe group by responsible institutions and individuals throughout North America. A brief 2003 introduction to the topic, "CAIR: 'Moderate' friends of terror." A long 2006 study, "CAIR: Islamists Fooling the Establishment." My reply to CAIR's attack on me. Apr. 29. 2003 update: For more about the Omar Ahmed quote, see my weblog entry, "CAIR and the San Ramon Valley Herald." Related Topics: Council on American-Islamic Relations, Muslims in the United States, Radical Islam, Terrorism | Daniel Pipes receive the latest by email: subscribe to the free mef mailing list This text may be reposted or forwarded so long as it is presented as an integral whole with complete and accurate information provided about its author, date, place of publication, and original URL.